I got a kick out of how much of a “my way or the highway” tone McArthur had in this letter that was supposedly accepting that Christians can believe in an old universe/earth. It was certainly nice of him to be so considerate as to accept us deluded deniers of the Bible as Christians. My way or the high way is how such a self-made prophet makes his living (sounds harsh, I know). To be more open would be to have a lesser hold on his audience. I know, I grew up in a sect like that. It also calls for tremendous intellectual disconnect, like what was evidenced with his response to the crisis in the Middle East published at Christian Post today (http://www.christianpost.com/news/interview-john-macarthur-on-being-a-slave-for-christ-middle-east-unrest-49087/page2.html) . I started off as young Christian thinking that the 6 days of Creation are just stages in evolution, not literal 24-hour days. Likewise, the end of the world ‘in fire’ was a reference to the fact that one day the sun would turn to supernova, just as scientists suggest. But there are actually huge differences between a naturalistic process like evolution that would, supposedly, happen on its own and God deciding to create species. Likewise there is a difference between God ending the world in judgement and it happening anyway because the sun ran out of fuel. What is the difference between your view of evolution which causes you to believe in God, and that of Dawkins which causes him not to believe in God? I have never had a straight answer to this question from a theistic evolutionist. My acceptance of evolution has no impact in my faith in God – I believed in Him when I was a YEC’ist, and I still believe in Him now that I readily accept the scientific consensus regarding the history of the universe, the origin and development of life etc etc. Faith is not a matter of logical proof. It is a leap beyond. It is a firm trust in that which I cannot see, in that which lies beyond that which can be proven. That doesn’t necessarily call for conflict with rational enquiry, that is a common misconception. It calls for the leap beyond. Otherwise it would not be called faith, now would it? The most common problem with the YEC’ist view is that they accept the terms of the atheists regarding faith and rationalism, and then shut there eyes and ears and shout “lalalalala” when they do not like the logical conseqiunces, the rational proofs, leading from that acceptance. YEC’ism is essentialy a product of weak modernism. Thanks for replying. Could you enlarge on your comment that YECism is a product of weak modernism? I respect you position, but your definition of faith appears similar to the schoolboy saying: “Faith is believing in something when you know it isn’t true.” Now I am sure that is not true of yourself, but in what way? I am not looking to catch anyone out here. I am an ex-YEC, but I am not a scientist either. Steve, I would reword your statement: “Faith is believing something when I cannot proof beyond reasonable doubt that it is true”. The YEC’ist approaches Faith with Cartesian Rationalism, yet starts ignoring the logical concluions shown by such a rationalistic approach. Furthermore, the YEC’ist has to be disenginious because rational enquiry into say Genesis 1 will lead you to the conclusion, such as even church fathers like Augustine and Origen reached, namely that the text is not literal history. Thus I have to admit, painful as it might be, that the strong infective and doubts cast against the “rationalism” of the YES’ist movement by its non-theist dteractors is, though very often base and uncivilized, generally quite true. It pains me, because this also leads to the slurring of the Name of our Saviour. BTW, what made you become “ex-YEC”? TSO, Thanks for your honest and clear answer. I became less convinced of a Young Earth because I couldn’t see how the Ice Age fitted in. I became a Christian whilst at Art College. The Reformed Calvinist church I went to was full of science graduates, many of whom were YEC. I found it quite embarassing when I heard a PhD student say that the Ice Age happened whilst Noah was in the ark – with only O-level science I knew that couldn’t be true. I have heard all the arguments against the dating methods, but there just seems to be so much data from geology it crowds out such simplistic answers. One of my colleagues who I teach with heard me talking about the beautiful cave paintings in Lascaux. His eyes lit up and he asked me when I dated them to. I asked him why he was interested and he said “Well, do you believe in Creation?” I said if you believe in God you believe in some kind of Creation. He clarified by asking how can I believe the cave paintings are thousands of years and still believe in Creation. I explained that I do not believe the days in Genesis are literal 24 hour days. He gave a sigh of relief, I was then able to tell him a little more about my faith and he has become a very good friend who ask me more questions about my beliefs. If I had taken the YEC angle he would not have respected me. Which part of six days in Genesis 1 is not clear? Did God say six eons or something else? No, the text clearly reads six days. And when we begin to question exactly what God said, or rationalize by other means that six days really means something else, or trying to shove additional information in-between Gen. 1:1 and 1:2 that really isn’t there, then aren’t we asking the same question Satan asked of Eve in the garden: (3:1) Did God really say you will not eat of every tree of the garden? First comes the question laced with doubt of what God really said. Then later Satan directly contradicts what God said (3:4) You won’t die, you’ll just be smarter, and wiser, if you listen to me (world’s lies) and don’t take God literally; God didn’t mean that you’ll really die. Second comes the outright lie against God’s word. Eve even admits (3:13) that she was deceived by the lying serpent. When will we wake up and take God at His word and quit questioning what He really say? When will we realize any other information (acclaimed facts of science) that is not scriptural support is not true. How many times has science been wrong and how many times has God been right? According to my scorecard, God 100% correct and science, well, you fill in the blank. It is very arrogant of anyone to try and say God didn’t mean what He said, or that He’s wrong. God’s word doesn’t lie and doesn’t deceive; it says what God meant it to say. Thanks for your comment, and I appreciate your commitment to the authority of God’s Word; a commitment that I and many other old-Earth Christians share. 1. They can stick to their interpretation of Scripture and ignore the science. 2. They can twist Scripture to fit the science. 3. They can twist science to fit their interpretation of Scripture. 4. They can evaluate the science, which may be faulty. 5. They can evaluate their interpretation of Scripture, which may also be faulty. I hope we can agree that #1-3 should be avoided by Christians. As a young-Earth creationist, you probably believe that old-Earth Christians are guilty of #2, twisting Scripture to fit science, and I would agree that old-Earthers can do this at times. That does not mean that all old-Earthers twist the Scriptures. I am sure that you will disagree with me, but I believe that most young-Earth creationists are guilty of either #1 or #3. 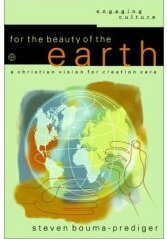 The prominent young-Earth organizations have marketed plenty of bad science to the Christian community, and the fringe young-Earth organizations have produced far more. 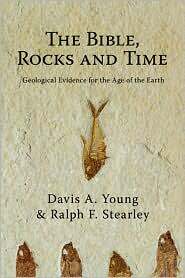 Am I somehow unorthodox for saying that what Answers in Genesis says about the flood or radiometric dating or dinosaurs is quite simply wrong? I also think that many old-Earthers have done a better job of exegesis than have the young-Earthers. Consider the important fact that whatever a “day” is, it doesn’t necessarily mean the same thing during the first three days of creation without the sun and moon as it does today. In the analogical days interpretation, this is the basis for stating that the days of Genesis 1 are analogical to our “days” but not identical. This is a conclusion that can be drawn from Scripture itself, without any reference to Geology. Or consider the fact that in Genesis 2:4, the word “day” is used in a non-literal way, referring to the entire creation week. If it is used in a non-literal way in the second creation passage, could it not possibly used in a non-literal way elsewhere? Maybe, maybe not, but the possibility is there. — The Bible does not teach that there was no animal death before the fall. Take a look at the relevant passages (Gen 3, Rom 5, Rom 8, 1 Cor 15) and you will see no mention of animal death. — The Bible does not teach that the sedimentary rock record was produced by Noah’s flood. You are correct, it would be foolish to question what God has said. But we should look carefully at what he has actually said, and not add things to it and then hold it forth to the church as a standard of orthodoxy. I think this is what the YECs have done. I’ve addressed these issues elsewhere, but I would like to point you to one post, where I address the “Did God really say?” accusation that YECs level against their old-Earth brothers and sisters in Christ: The YEC “Did God really say?” tactic. In this blog post, I specifically address the issue of the extent of the flood according to the Scriptures. My reply: Don’t we evangelicals do the same thing with Matthew 24:34 concerning “this generation”? In a clear first reading of this passage I believe 100 out of 100 people would say that Jesus was talking about “this generation” or the generation that he was addressing at the time. That’s what it sounds like. That’s what the disciples believed. That’s what preterists believe. But since the generation did pass away, we said “well we better take another look at this passage and see if it can be read any other way.” What is the difference with the age of the earth and universe? Current knowledge puts it at quite a bit older than ten thousand years, so we seek other explanations that are scripturally viable. I see no difference between defining “day” in Genesis and “generation” in Matthew in other ways that the language permits. In each case, the obvious turned out not to be true, yet we still believe God’s word to be true and we re-evaluate it. I have enjoyed reading this discussion. My background and degree is in the physical sciences specifically Physics. I too am very curious about creation and how it occurred. It seems most everyone here in this discussion also assumes God to have a major part in creation rather crediting random evolution. I am not a theologian, but I respect the logic of God’s ways. It is this respect that moves me to write. The big question then is: “How did God do creation?” Surely all who acknowledge an omnipotent, omniscient, omnipresent God could at least agree God is capable of making a planet such as ours with everything occurring in the Genesis sequence and time-frame of six literal 24 hour days. The question then is whether He did it in six literal 24 hour days or why He would choose to do it otherwise. 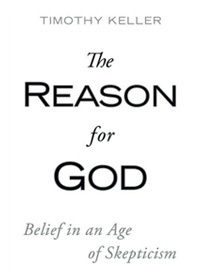 I believe that we can all agree there is a good reason for everything God does and why He does it a particular way. This significance of this point is crucial. Without going into all the particulars, we know in biblical history God used rapid processes and very slow processes to achieve His purpose. In each case there were good reasons for His choice. If He chooses the slow or rapid process it was for the purpose of working out all things in conformity to the purpose of His will. Another consideration of mine in answering this question is the ongoing and escalating decay of credibility of man’s integrity due to sin. This decay of credibility is appalling in almost every item of news today. To fail to account for this is a gross oversight. In all areas of man’s enterprise from the noblest scientific discovery to the simplest, credibility is being lost. It is naive to assume the ranks of science have not been impacted by the entropy of integrity also. It is not just a matter of ignorance that corrupts propagation of truth, it is: lack of integrity in research, careless techniques, statistical manipulation of data, moneyed interests guiding outcome of research, personal bias, axes to grind and blatant lies in all areas of knowledge. In the present concern, at issue is the integrity of those who do the dating of fossils and rocks/sediment. If their assumptions are in error then so are their conclusions. The result is that all who rely on their methods and data are deceived and believe a lie. Add to this problem wild extrapolation of results with no rational foundation in facts and the whole of this science becomes fraught with corrupted conclusions. Could this be possible? Just look back through the annals of one of the most respected of the sciences–MEDICINE and you will have to face the sober reality that even “good men” were wrong, dead wrong about many things in medicine. They were wrong in their approach, methods, scientific methods, bad data, false testimonies, etc. Well-meaning people with noble motives and good hearts cost others their lives because of this. Realistically all areas of science are fraught with weakness–the weakness of ignorant, sinful, proud, arrogant, and presumptuous men. How much more so is this present concern with geology and scientific dating! Are we to naively assume that this area of science is immune to such corruption or that the principles, constants, data and conclusions have been verified so often that they are now indisputable? Are the assumptions of the constants in uniformitarian processes of nature’s matter and energy so sure that their use in the calculations becomes almost sacred and above question? I know no scientist that has worked from scratch to confirm all the laws and constants of geological science he uses. He/she depends on the integrity and truthfulness of others and their research. Underlying assumptions of uniform rate of decay of radioactive isotopes is a bulwark of their trade. Certain assumptions about changes in the geomagnetic forces deep within the earth are another unknown factor in determining dating. No one really knows for sure. Rate of ancient deposition and composition of extraterrestrial comet and meteor dust is total speculation. Effects of mass sedimentary redistribution due to catastrophic continental shifting occurring in a world-wide flood, with earthquakes breaking up even the ground water (“fountains of the deep”) all over the planet, is something greatly minimized by many in the evolutionary camps. The quest to reproduce results and verify experimentally becomes the test of credibility in which the Geo-scientist operates. If he bucks the status quo assumptions and commonly established assumptions he is exposed to ridicule and he will not get published. It is a form of scientific-inbreeding of information and accepted assumptions. Even the conscientious scientist’s hope gets placed in the integrity of others discoveries of principles, data and conclusions–a hope that this information is legitimate and warranted. This hope then is used to frame a genesis of planetary beginnings which pays tribute to man’s scientific determinations of origins and processes and time-table. From skepticism over these concerns my faith in man’s science wanes a bit…maybe more than just a bit. My faith in God to do as He pleases and my rest in His sovereignty to accomplish what He wills are instead reinforced in my mind. My faith in God’s economy of time and space is additionally reinforced by constant awareness and daily exposure to the weakness and corruption in the enterprises of man. My faith is also reinforced as I consider God prerogative to use whatever time-table He wishes in what He does regardless of my limited scientific understanding to conceptualize the processes it took to achieve His desired outcome. I acknowledge He could have drug out creation of this earth over thousands or millions of years, but why? What purpose would length of time serve? I also acknowledge He could have guided a step-by-step assemblage of amino acids to one-celled organisms to complex organisms for thousands of years to bring about creation of what we have today. He could have let an eon pass before the next step of creation if He so desired. He could have done it that way. The bigger question is: Knowing what I know about God my God: “WHY would He do it that way?” There has to be a good reason for this extended creation scenario. Since none of us were around when the world was created there is going to be a degree of faith in whatever we believe about the nature of the beginning. If the prime directive of God is: “That without faith it is impossible to please Him, and that God commands man to walk by faith and not by sight”, then our choice of creation scenario should respond to and express that prime directive. In other words our choice should flush out and reflect that to the highest degree. Our ultimate choice about this belief in the nature of God’s creative design may be bigger than we realize. As we seek wisdom from God to understand His ways in creation’s origin we may discover life-long ramifications which frame more correctly the dominant object of our own personal faith. I just wonder sometimes if the answer may be somewhere in the middle. Imagine Creation being captured on film and watched via your DVR. The entire show is millions of years segmented into 7 episodes. Rather than watching it over millions of years you fast forward through each episode preserving the content, watching the process unfold as necessary and undisturbed – but seeing it happen in 24 hour days as opposed to say 24 million years. Just a thought. God controls everything and this certainly includes time. If you take into account Einstein’s theory of relativity and the fact that it proves time can be manipulated, I don’t believe God accelerating these 7 episodes (preserving the content and all that is necessary for the creation to unfold) into 24 hour timeframes is too remote of a possibility. 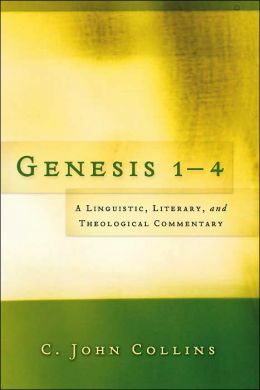 I would just like to refer everyone (include Mr. MacArthur, who seems to be unaware of it) to the excellent work of John Walton on Genesis one. A good place to start is http://biologos.org/blog/series/genesis-through-ancient-eyes. I really like Brother John Mcarther, I too use many of his study materials. He is an excellent bible teacher in my opinion. I believe the bible is the inerrant, infallible word of God. Like the author of this excellent article, however, I do not believe Brother John Mcarther’s interpretation of the bible is inerrant or infallible. I believe Jesus is Lord, creator of all things seen and unseen. I do not believe if God created the world billions instead of thousands of years ago, that Jesus is not Lord. I’ll not continue on with a point for point agreement with everything in this article, but I do want to reiterate how the young earth creationist are turning young people away from the church, not because the young people are obstinate, but because the young earth creationist are obstinate. One of Christ’s main teaching tools was parable- fictitious stories that never happened, yet contain within them deep spiritual truths. I’m not saying that all the Old Testament stories are parables, but if God chose to teach us in this way then as He did in the New Testament, or create through evolution, who are we to tell Him no? I really don’t like the my way or the high way attitude most young earth people have, but not for my sake. I’m a believer. I’m saved- come Lord Jesus. I don’t like it for the sake of those who aren’t. There is too great a preponderance of evidence that points to an old earth to not at least speak in terms of the possibility that it is old. Unfortunately, young earth people feel that means there is no God. I understand there position, I wish they understood it possibly hurts the very thing they want to help. The Gospel. God very clearly tells us in Genesis 1 He created the Earth Day 1, and shows us it began to spin upon it’s axis. We know it was spinning because there was evening and morning for each day. The light He created on Day 1 was emanating from some point and shining upon the Earth to separate the darkness of evening from the light of day, and thus as evening was followed by morning 1 day elapsed. We all know one period of darkness and one period of light is about 24 hours and thus one day. When God defines what He means by His usage of the word “day” dare we gainsay Him. Especially when he repeats Himself 6 times so we can be sure. 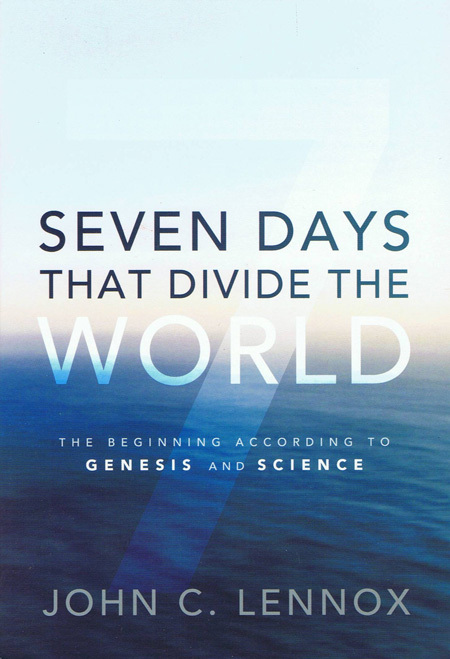 Almost every Hebrew scholar admits the Hebrew of Genesis 1 is indicating six 24 hour days for the period of time it took God to create. But some, like Gleason Archer, chose to believe scientists who despise His Word over the plain meaning of the text. Some scholars, like Dr Walter Kaiser, think you can’t be sure of a 24 hour day until Day 4 when God creates the Sun and thus establishes a “solar day”. This is wrong as the Sun isn’t the determinant of the length of a day. The amount of time it takes the Earth to make one complete revolution on it’s axis is. God establishes the Earth is spinning on Day 1, and thus we have six 24 hour days. Kaiser should know this, and his position doesn’t rely on the Hebrew so much as it does his faulty understanding of just what establishes a 24 hour day. If God created over a period of billions of years and with evolution, the Bible is a lie and the God described therein can not exist. For the God who created by evolution must be cruel, calloused, and indifferent towards the creatures of His creation- including man. Death, disease and suffering reigned for billions of years and not because of sin as the Bible tells us. And God said it was very good? He watched with satisfaction as animals slaughtered each other and the alleged sub human hominids we evolved from. And He called it very good? According to scientists, there were 4 mass extinction events before man arrived on the Earth. Soooo….. God created creatures not once, not twice, but FOUR times and then WIPED THEM OUT!?!? Before He made man? Before sin? Did he make a mistake 4 times and have to start over? Or is He some sort of psychotic? You see, if evolution and billions of years are true, then God is not true. Well, some will say “God could have created via evolution. He’s God He can do anything”. No, He couldn’t have created this way. It’s impossible for Him to do so. Because He will never do anything that violates His Holy character and nature. And I Cor 11:8 destroys the idea of evolution. Believe it, or believe a lie. Preaching the truth never hurts the Gospel. In fact, the Holy Spirit will not witness to, or work through a lie. He’s the Spirit of Truth. Scott — The Bible nowhere ties animal death to Adam’s sin. The Bible also clearly states that the creation continues to be good, even after the fall. You are more concerned about the length of the days in Genesis 1 than Moses himself, who wrote Psalm 90, which states that a day to God is not necessarily the same as a day to humans. When you say “the Bible is a lie” if Earth is billions of years old or evolution is true, you are setting people up for a fall away from the Gospel. To say “If YEC isn’t true, then the Bible is a lie and the God described therein cannot exist,” is like saying, “If Presbyterianism isn’t completely true, then the Bible is a lie and the God described therein cannot exist.” (change Presbyterian to your denomination of choice). Is not a “my way or the highway” issue. However, it is a black and white issue; there should be no gray area in how we were created. Either we evolved or God created us. It can’t be a little of both. The Bible says, “In the beginning God created the heavens and the earth”, then that’s what happened. To argue about God’s methods (young Earth vs. old Earth, Gap Theory or no Gap) falls into the category of what the Bible calls “foolish disputes.” This is a very old argument with no apparent solution at this time. When we are with Jesus, all will be revealed. That’s good enough for me. A foolish dispute would be along the lines of “Could God create a rock so heavy he couldn’t move it? If not, then all things are not possible for Him”. To argue about something like this would be foolish. To argue over an issue that directly touches on the character and nature of God is not foolish when a certain belief like evolution maligns the Creator. Paul argued with those of his day who sought to yoke the law with the gospel by stating 7th day Sabbath observation and circumcision were necessary for righteousness. Galatians is all about this issue. Arguing over something that harms the gospel as the aforementioned legalism or evolution does isn’t foolish. The fact different denominations exist does not malign the nature of God, or call into question the accuracy and truth of scripture. Evolution and billions of years does. Your statement about denominations isn’t a logical conclusion or even related to the consequences of belief in evolution. I stand by my statement. I could say if Mormonism or the teachings of Jehovahs Witnesses were true, then the Bible would not be true, and this would be a logical conclusion. Some beliefs or “interpretations” of scripture are so corrupt the Bible and God would not be true if these “interpretations” were true. Romans 8:20-22 clearly ties animal death to the Fall. Stubborn denial won’t change the plain words of Paul. http://www.thegospelcoalition.org/blogs/justintaylor/2013/05/09/charles-templeton-missing-jesus/ Here’s what happens when one follows a belief in evolution and billions of years to it’s logical and inevitable conclusion. Pay close attention to the words of Billy Graham as he responds to Templeton in this account. Teaching evolution and billions of years will cause the Holy Spirit to strip the teaching of power. He doesn’t witness to lies. Kevin, teaching billions of years and evolution harms the gospel and strips our preaching of the Spirits power. Without this power, we can do nothing to advance the Kingdom. 1 Cor 2:4. It makes a huge difference what we believe about this issue. Also, Moses wrote God created the Earth in six 24 hour days. He would be very concerned we believe this. As you have been shown before, Psalm 90 has nothing to do with the length of days in Gen 1. When God goes to pains to define how long a day is in Genesis dare we gainsay him. Psalm 90 is showing time does not effect God like us. In Genesis 1, God defines the length of a day. I agree with you that we must challenge things that subvert the word of God. This is not foolish; it’s even required. The Bible says to “contend for the faith.” Anything that challenges the authority and truth of God’s word must be dealt with. However, I was referring to things like the old earth theory vs. the new earth and the Gap theory vs. no gap. Both sides have compelling arguments and as I said it is a very old argument. To continue to argue about something that has no apparent solution is indeed foolish. Another example would be Amillennialism and Premillennialism. People have been debating this for a very long time and again both sides have valid arguments and to fight and argue over this, is again foolish. If a person says they believe in the Gap Theory it doesn’t mean that they don’t love God and want to serve and honor Him. If someone says “Jesus is not the only way to God”, that is a serious problem and must be challenged. I hope that clears up the point I was trying to make. Anyway, I appreciate your thoughts and will end with this: “. . .sanctify the Lord God in your hearts, and always be ready to give a defense to everyone who asks you a reason for the hope that is in you, with meekness and fear. .”(1 Peter 3:15). Preach the word! Be ready in season and out of season. Convince, rebuke, exhort, with all longsuffering and teaching (2 Timothy 4:2). See this for excellent treatment of Gap Theory and why it is wholly unbiblical: https://answersingenesis.org/genesis/gap-theory/what-about-the-gap-and-ruin-reconstruction-theories/ See this for why we should not inject the vain imaginations of men (scientists, researchers, philosophers, or even Christians) into scripture: https://www.bible.com/bible/1/pro.30.6.kjv The Gap Theory would have God allowing animals to be slaughtered during some perceived struggle with Satan before Adam was created and sin entered the world. This is inconsistent with Gods character and the testimony of scripture. It is also wholesale injection of man’s vain imagination into scripture without one shred of scripture to support it. In order to have any argument for an old earth or evolution, those who believe these things must always inject allegory, metaphor, idioms, etc., into the biblical account to justify these beliefs. If billions of years and evolution are true, then nowhere did God say what He meant or mean what He said concerning origins. This is a very dangerous way to read and interpret scripture. Again, see Prov 30:6. ” Both sides have valid arguments….” No. Not true. Old Earthers and evolutionists must add their interpretations and understanding of what they see in the Earth. They have been, are, and will be wrong about these things. Therefore scientific interpretations of men must never be the lens through which we view scripture. When I was just a toddler, scientists thought the universe was eternal (steady state theory). The reigning cosmological theory of that day was overthrown in favor of Big Bang. Big Bang is riddled with problems. It too will fall one day. So I say again, science is never to be used as as a hermaneutic. When will science be settled and perfect as God’s Word? The evil fruit of a belief in billions of years and evolution is atheists are able to have intellectual fulfillment in their atheism and many have been turned away from God’s Word, and the gospel, satisfied there is an alternate explanation for God. Also, evolution intensified racism. It is almost inexplicable how anybody can argue belief in these things aids the gospel. God’s character is maligned through these things and no glory comes to Him. But this is not so if we just believe what He has said clearly, concisely, and unambiguously in His Word concerning origins. It’s worth arguing over. Kevin- I stand corrected about Billy Graham. But still, his answer to Templeton in the above link is somewhat different than his statement you quote above. To be clear, I believe the Gap Theory is nonsense. However, I still believe that having a wrong belief doesn’t necessarily mean someone is not a Christian unless that belief denies Christ or His plan of salvation in anyway. God will deal with incorrect assumptions! Many new Christians have incorrect beliefs; I had some myself when I first got saved, but God corrected those beliefs…”for whom the Lord loves He corrects.” As for your link I have been there a number of times and I’m in full agreement. (see http://www.icr.org/article/826/174/) No offense intended Scott, but this is all I have to say on the subject. We clearly have a difference of opinion. I don’t want this to turn into a full blown argument. That’s not why I joined this discussion. To be honest I’m not sure I’m getting my point across anyway. As I’ve said, I agree with you. So there are no misunderstandings I believe the Bible to be the inerrant word of God from Genesis to Revelation. Every word is true and every prophecy will come to pass. Any attempt to alter His word like The Gap Theory, Evolution, Theistic Evolution or Big Bang is wrong and dangerous. It undermines God’s word and attempts to rob Him of His power and Glory. I appreciate your comments, but still believe that some people hold to incorrect doctrines, but that doesn’t mean they don’t belong to God. I have known people that had incorrect beliefs but loved God with all their heart. You’re a great witness and you’ve obviously done your homework. Thanks for the fellowship. Well, ….ok. I seem to have misunderstood you. I thought you might have believed in gap theory. Which is why I posted the above link. And I agree you can believe in an old earth or evolution and be a born again child of God through faith in Christ. I disagree strongly with Kevin who hosts this sight, but genuinely admire his patience and gentleness in responding to people, and his very evident love of Christ. Grace and peace to you in the name of our Lord and savior Jesus Christ, Him crucified for the forgiveness of sins, both yours and mine. I always praise God for our salvation which comes, not by knowing or doing anything, but believing in Him(John 3:16). Do you know why Copernicus waited until he was on his death bead to publish his work on the solar system? He theorized something that contradicted a literal interpretation of scripture. He knew they might kill him for it, so he took a “you can’t kill me if I’m dead” approach. I don’t want to make this personal, but since you addressed me by name I feel compelled to respond. In your first paragraph you claim I add to and take from scripture. 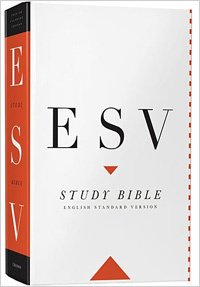 Scott, if I lay my bible next to yours, you will be astonished to discover that my bible says the same thing yours does. I have not removed a single jot, nor have I added a single tittle. It is my interpretation of the scripture which differs from yours. Save those kinds of comments for people who write things and call it scripture, there are plenty of them to teach this to, or for yourself who does the same thing. If you consider my non-literal interpretation of the Genesis account to be heretical, unless you believe the earth is a circle(Isaiah 40:22), that the sun rises and sets and hurries back to where it rises(Ecclesiastes 1:5), and that our Lord Jesus Christ is literally a gate(John 10:9), then you too are a heretic. Now, if you believe the world is a sphere, that it rotates on it’s axis as it revolves around the sun, that Jesus was speaking metaphorically, you are a hypocrite, giving yourself the same license you deny me. I suspect because you make several references to the earth spinning on it’s axis, thus adding to scripture, however, you are both, according to your own logic(not mine brother). In passing such hypocritical judgment on me, you condemn yourself(Roman 2:1 and 14:22), for with the judgment you use, you will be judged, and with the measure you use, it will be measured to you(Mathew 7:2). As far as the choices you give, believing Him or a lie, I believe Him, I gainsay your interpretation of what He says. There is a monumental difference between the two which I am unable to overstate. In your second paragraph you talk about how clearly God taught us He created. While this is subjective, I would argue that, yes, He clearly created, however as the entire creation story fills less than one page in my bible it is not clear the mechanics how He did so. Again, it is subjective, but I don’t see everything about chemistry, engineering, astronomy, genetics, nuclear and astrophysics, etc, on that page. He, in His infinite wisdom left many holes in the creation story. In fact, you yourself make inferences here(as I would say), or add to scripture(as you would say) by saying “we know it was spinning” and “we all know one period…..24 hours and thus one day”. Hypocrisy is defined as the practice of claiming to have moral standards or beliefs to which one’s own behavior does not conform, and you are practicing it here. The bible warns against such behavior(Mathew 23:27, 7:3-5). Instead of proclaiming “we know”, you should say “I think” these were 24 hour days. Scott, what’s good for the goose is good for the gander. For example, “We all know from astronomy and geology that the universe is billions of years old, and therefore, infer a non literal interpretation is needed for the creation account just like Shawn Bradshaw’s non literal interpretation of Isaiah 40:22 is needed to explain the shape of our planet and it’s spinning on it’s axis”. Your third paragraph is an extension of the second, more on your belief of a literal interpretation, spoken with the authority of someone who bore witness to the events-“Where were you when I laid the earth’s foundation? Tell me, if you understand”(Job 38:4). No one is contesting how many hours are in a day, but rather interpreting scripture based on what God has revealed to us through His creation, just as you yourself do when you need to. I don’t need to comment further on our difference there, however you do say something with such strong rhetoric that it needs to be refuted, “…choose to believe scientist who despise His Word over the plain meaning of the text.”. All areas of science independently point to a much older universe than your interpretation of scripture. It is not a scientist who despises God’s word by reporting what he observes, but you who, in your pride, despise God’s creation due to your fallible interpretation of His word. Pride goes before destruction, a haughty spirit before a fall(Proverbs 16:18). Paragraph 4: “If God created over a period of billions of years and with evolution, the Bible is a lie and the God described therein can not exist.”. Here you start off with your facts straight, but end by drawing the wrong conclusions. It is self evident that God creating over billions of years and with evolution does not mean He does not exist, it commands He does, for Him to do anything dictates He exist. I don’t take your point there at all. This logic makes zero sense. It would not make the Bible a lie, it would simply make your interpretation incorrect, no big deal. You go on talking about how God must be evil if evolution exist. Is a lion evil to eat a zebra? Bad lion? Is God less benevolent because He benevolently gives His creatures a means to adapt to an ever changing environment? There can be one mass extinction(the ark), but not four as clearly evident in the fossil record(mass extinctions do not mean every living thing dies necessitating multiple creations by the way)? Does God creating longer ago make Him less eternal? Finally, would any of this empty the cross of it’s power? Of course not. Paragraph 5: “Well, some will say “God could have created via evolution. He’s God He can do anything”. No, He couldn’t have created this way.” – Sure He could have, and all the observable evidence points towards that. I recommend not telling God what He can and can’t do. Humble yourselves in the sight of the Lord, and he shall lift you up(James 4:10). ” Because He will never do anything that violates His Holy character and nature.” – Him creating differently than you feel He should doesn’t violate His Holy character, it would reveal your character as different than His. ” And I Cor 11:8 destroys the idea of evolution.”- if evolution is true, and all non-biased science points in that direction, then, no, it doesn’t. The truth of evolution would merely destroy your interpretation of the verse. “Preaching the truth never hurts the Gospel. In fact, the Holy Spirit will not witness to, or work through a lie. He’s the Spirit of Truth.”-Amen brother, we are in full agreement here, just differ on what is true. Scott, I believe this statement of yours is the main theme of why we have differences-“If God created over a period of billions of years and with evolution, the Bible is a lie and the God described therein can not exist.” This erroneous belief creates an extreme bias on your part to anything that has been or ever will be scientifically reported to support evolution or old earth. Like your forefathers who would have burned Copernicus at the stake, unless given quantifiable proof of evolution or old earth, you can not look at the evidence with an open mind, and will therefore often draw faulty conclusions. You are reducing yourself to saying men like Gleason Archer, who spent his entire life in service of the word, “despise” the word because of your fallible interpretation. You force yourself to through rocks at men like me who feel God’s creation has created a necessity to change our interpretation of the word, saying we take from and add to scripture, whilst you hypocritically do the same thing from your glass house. Worst of all, you paint yourself into a corner by commanding God He can’t do this and bid Him he must do that as if He were your errand boy, even saying His word is a lie and He can’t exist if He chooses to do things differently then you would have Him choose. If it weren’t for pictures of the earth from space proving it is a sphere, you, along with your forefathers who would have killed Copernicus, would still say it’s a circle and the center. Thanks to rocketry, there is undeniable evidence showing a non-literal interpretation is necessary- and you apply it! Brother in Christ, please understand many of us have our proof, smoking guns if you will, that confirm an old earth and evolution. They are too many to list here for brevity’s sake, but I will give you one each for age and evolution. A light year is a unit, not of time, but of distances. It’s the distance light travels in one year, a year being the time required for it to travel that far. If the universe is only 6,000 years old, we should not be able you see stars further than 6,000 light years away. The Andromeda galaxy, visible with the naked eye, is 2.5 million light years away. With the Hubble telescope, we see galaxies that are billions of light years away, which would mean that light has bean traveling billions of years, which would cause an unbiased person to assume the universe is indeed billions of years old. As for evolution, Scott, do you have a tail? You had one, like all vertebrates, when you were an embryo inside your mother’s womb. If you have a tail I’m sorry, but if you don’t, an unbiased look at how all vertebrates(animals with backbones- reptiles, mammals, birds) look identical when they are very small, points towards a common ancestry, thus evolution. Brother, I’m not trying to get you to change your mind. In fact, I’d much rather you be wrong about how old is the universe is and right about who is Christ, especially since you believe that God creating longer ago means there is no God. If you feel the same way towards unbelievers, however, I would like you to keep this in mind- no one ever excepted Jesus because the world is 6,000 years old, but there are many who hesitate to do so if they must believe something they don’t believe, that the world is only 6,000 years old. If you are right about the age of the universe, wouldn’t you rather them be wrong about that and right about who Jesus is? We refer to ourselves, after all, as believers. We don’t even know God raised Christ from the dead, we believe He did. If you are wrong about the age of the universe, teaching others that they too must be wrong about the age of the universe before they can be right, as we believe, who Christ is creates an unnecessary stumbling block to them. Jesus turned and said to Peter, “Get behind me, Satan! You are a stumbling block to me; you do not have in mind the concerns of God, but merely human concerns.”(Mathew 16:23). This type of thinking which places a higher importance on your interpretation of God’s word, your way or the highway, this is what I mean by hurting the Gospel. 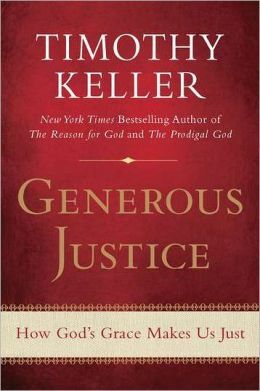 God has done many things differently than we as men would assume He would, and it has always been better off that way. For my thoughts are not as your thoughts, neither are your ways as my ways, saith the LORD(Isaiah 55:8). Charles — Thanks for your comment, and you made a number of excellent points. I would like to highlight two of them, for those who don’t take the time to ready your lengthy response. 1. Charles points out that we all take our knowledge of creation into account when we interpret Scripture. Why do we believe that Earth is a sphere, spins on its axis, and moves through space? Because science tells us so. If all we relied on was the Bible, we would not come to the same conclusions. Science, in this case, has helped us come to a more complete understanding not only of nature, but of the Bible itself. It is not that the Bible is wrong, but that a literalistic hermeneutic is wrong. 2. Charles also points out that the Biblical accounts of creation, such as Genesis 1-2, are incredibly brief, that God “in His infinite wisdom left many holes in the creation story.” It seems that God was more interested that we learn basic truths from the passage than that we learn details, such as whether or not Archean gneisses were formed on Day 3. I will be the first to admit that my love and gentleness are not yet perfected. I haven’t been this severely mischaracterised in a long time. (sigh). Also, with all due respect, your post is one of the worst thought out I’ve seen, but highlights very well one of the issues separating OECs and YECs. And it’s this issue of when we can, or must, view scripture literally or figuratively. But first, about Geocentrism. The history surrounding Galileo and Copernicus is often equated with the current debate concerning science and old earth or young earth. It’s a false analogy. Philosophers like Aristotle put forth the notion of Geocentrism, and in Copernicus day, scientists and academics taught it. Yes!! Scientists and academics!! The catholic church went along with it based on scriptures like Ps 93:1 and 1 Chron 16:30, and the ideas of Augustine and Aquinas. In the aforementioned scriptures, the Earth was thought to be fixed and immobile based on the translation of the Hebrew môwt which is rendered ‘moved’. This word absolutely does not indicate the Earth is fixed and immobile in space, but rather that it shall not be taken away, or fall. It shall….remain. Look at Ps 16:8. The same Hebrew word is here and is also translated moved. Do you really think the Psalmist is stating He shall be fixed and immobile in one spot his whole life? Ridiculous! His faith shall… ‘remain’ in the Lord. A misunderstanding of the Hebrew was at the root of the Geocentrism error. A literal interpretation of the Bible with correct translation does not yield a Geocentric teaching. <– Get this. No grist for your mill here Charles. Take note Kevin. You thought this was a good point by Charles. It's not. Your contention I'm a hypocrite for believing the Bible uses metaphor or believing the Earth is a sphere is poorly thought out and…just….wrong. You seem to think because there is metaphor or allegory in the Bible you should be free to superimpose these literary devices over whatever you wish and call it "your interpretation". You don't have license to do that. Context and common sense of course will indicate these things. As will the literary genre. Nowhere does the Bible literally or figuratively teach a flat Earth. That's not what "circle" means. Else God would be incorrect, now wouldn't He? It does not logically follow I'm a hypocrite, for instance, for not believing Jesus is literally a door. Or a vine. Are you serious? You state "As far as the choices you give, believing Him or a lie, I believe Him, I gainsay your interpretation of what He says. There is a monumental difference between the two which I am unable to overstate." Seriously misinterpreting what He says, as you do, equates to believing a lie. And your main problem here is using the pronouncements of scientists, many atheist who hate God's Word, as a lens through which to interpret the Word of God. No sir, you couldn't be more wrong about science. You state "All areas of science independently point to a much older universe than your interpretation of scripture". Well, all areas of relevant science once pointed to an eternal universe. This was known as the Steady State Theory. It was overthrown with Big Bang when I was a kid. All areas of Biology pointed to vestigial organs. We now know they aren't vestigial. Research into DNA once pointed to junk DNA. We now know it's not junk. So now science points to an ancient universe does it? Only because the godless want it to Charles and will not believe God's Word. Funding, research, and grants are controlled by the godless. So of course much science points to an ancient universe. But not all science. Science is manipulated and frequently wrong. We don 't use it as a hermaneutic. It's not inspired scripture. When science depends on results that reject God and His supernatural acts, and a philosophy of Materialistic Naturalism, the very foundation of science is horribly flawed and will lead to false hypothesis, theories and so forth. No, your leaning on science to interpret the Bible is tragically in error. As is your current understanding of biology I see. At least read the wiki:https://en.wikipedia.org/wiki/Recapitulation_theory. You state "We don’t even know God raised Christ we believe He did". (facepalm) I know He did. http://biblehub.com/1_corinthians/15-14.htm This is just a perfect example of very poor thinking about the nature of the Word and faith. I genuinely and seriously ask our Father in Heaven to grant you a profound increase in understanding and faith concerning these issues. And don't put words in my mouth Charles. I never said Gleason Archer despised the Word. I said he believed men who despised the Word. Go back and read it. I have a lot of respect for Archer. Oh, and my name isn't Shawn, it's Scott. No biggie though. Scott- with that I will let you have the last word. It’s futile to debate with someone who knows what he believes, like playing cards with your sister’s kids. Unlike you, I’m not a “knower”, I’m just an ole believer, hallelujah. I apologize for referring to you as Shawn, and for erroneously assigning the “who” in your one sentence to Gleason Archer instead of all the scientist he believed. These were honest mistakes. Thank you for your prayers, for I am a great and desperate sinner.